OK, so a by-election is on the horizon and it is a seat that could go either way, but nonetheless, the speed and extent of the U-turn was spectacular. On November 24 last year, Bernews broadcast a podcast interview with the Premier in which he was asked about possibly holding an investigation into Auditor General’s latest reports which highlighted a shocking disregard by the PLP Government to uphold financial instructions. Premier Michael Dunkley told Bernews: “That is not something that a Government should do, that is something that authorities who are concerned about it should do. “So if the police want to take a look into it, they can do that. If the Auditor makes suggestions about a forensic analysis, that is something that can be looked at. “If you want to follow the money and call people to discipline, we are not the police. Our government is to run the affairs of the country to the best possible way, and I am sure authorities will take a look at that in the appropriate way. Wind on to December 29, just over four weeks later, and at a press conference the Premier announces that a Commission of Inquiry is to be established into the reports. In a statement, the Premier says: “The findings are disturbing. There is no future for Bermuda, as we know it, if there are no adequate safeguards to prevent the practices described by the Auditor General from taking place again. “They have contributed to the unsustainable spending deficits that have pushed public debt to the absolute limits of our ability to manage it. The situation is a danger to our international reputation, our solvency, even our self-government. We need to be sure that we have the right controls in place for the future. There is no mention of his previous comments to Bernews, so we are left to speculate about the reasons behind the about face. As mentioned, the by-election coming soon and the PLP has a majority of just 19 votes. Given the Government’s very small majority in the House of Assembly an extra seat would be extremely valuable. In terms of the Commission’s terms of reference, more is to be announced, but it is good to hear that a lawyer will be involved and those called will be giving evidence under oath. I would like to see the appointment of an executive officer to help the Commission and I would, ideally, like to see as much as possible conducted in public – it would help bolster public confidence. However, I was most concerned to hear the Premier say that a report could be forthcoming within as little as three months. That is way too short and hardly allows the Commission members to get their seats warm. Draw to the attention of the Minister of Finance and the Attorney General any scope, which the Commission may identify, to secure recompense under the Public Treasury Act, including Financial Instructions, and Civil Asset Recovery. Considering the complexity of the issue, the potential number of people involved and the timeframe covered by the Auditor General’s reports, three months is an absurd length of time – ideally an update could be released after three months, then perhaps an interim report after six to nine months and then a full report after 12 months. Twelve months? Yes – if this is to be taken seriously, 12 months is a minimum. Giving it three months is akin to a whitewash. Ultimately, of course, this may be what the Government wants. 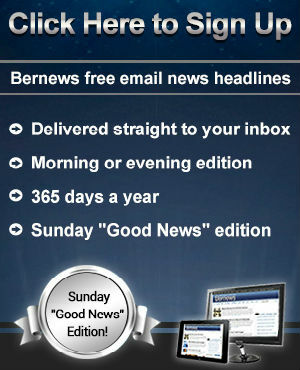 How is Bermuda better served – opening this tin of worms up or saying that we’ve looked and we tried our best? I’ll vote for the former. Jeremy Deacon is a 30-year veteran of the media industry in Bermuda and the UK. He runs award-winning public relations company, Deep Blue Communications, and also engages in freelance journalism for publications in Bermuda and overseas. He is also the Executive Officer of the Media Council of Bermuda. Column: COI Report, Is Future More Important? White collar crime usually goes by unnoticed. We’ll see if this government actually takes it seriously. Mr. Deacon. Have you never done a U-turn in your life? Of course you have. Everyone has. It shows people are thinking about things if they change their mind. And sometimes they change their minds because circumstance prove to be more dire than predicted. Maybe the Premier received advise that without a CoI it would be difficult to start a process to bringing those responsible for the millions effectively stolen to justice. You (and everyone) should be pleased that we have a govt that cares about accountability. Furthermore, you can be damn sure that if the PLP had won the last general election ALL of this would be brushed off and swept under the rug. The AG’s report verifies that the PLP were a reckless govt that cared little about the labour movement…..more about plundering the public purse. No wonder they worried their collective asses off after the last election. I understand the place U-turns have in politics (and life). My reason for writing this was a. to highlight the issue, as I believe no other media site has, and b. to highlight something that was not just a U-turn but a real volte face (an abrupt and complete reversal of attitude, opinion, or position) in such a short space of time which leads you to suspect that there was an ulterior motive. It wasn’t a volte face. He said “That is not something that a Government should do, that is something that authorities who are concerned about it should do”. He clearly left open the possibility of more inquiry, albeit saying (correctly) that it’s not something the government should do. And then a month later the Commission of Inquiry was announced. You’re portraying it as a complete U-turn, but it wasn’t. So he says the appropriate authorities should investigate, and then he sets in motion the things necessary for the proper authorities to investigate. He said it was not for Govt … then as Premier (therefore Govt) he announces a CoI. IMO, appropriate authorities, in the context of the interview, precluded Govt. Someone has to push the ball over the cliff and that is the Governor supported by the DPP supported by evidence! The power of the internet & the various forums cannot be ignored by politicians. Well, they can, but ignore them at your peril. There are still too few people who actually say something but there are plenty who voice their agreement by clicking approval of somebody’s post. There are plenty who are fed up with the OBA dragging its heels on the disappearance of so many millions of their dollars. It is not Government money that disappeared. It is taxpayer money that disappeared. Taxpayers are the people saddled with paying off the debt for the foreseable future. Enough of us are mad as hell & are not going to let politicians say “Oh well” & carry on like nothing happened. They had better pay attention. Maybe a prelude to a snap election…? exactly Mr. Deacon. Nothing wrong with an objective Cynic, its certainly better than a subjective zombie. 3 dislikes as of 5:30P. Amazing that there are any dislikes at all, unless those clicking dislike are worried that they might be lined up in the crosshairs if charges start to be laid. The reality is that the appointment of the Commission is only window dressing. If everyone was serious, the Good Governance Act would be tabled, thereby making future breaches of Financial Instructions a criminal offence. As it stands, Senior Civil servants are the Accounting Officers in Government and responsible for the ultimate authorization of payments. Do we really expect to see current senior servants penalized (to the extent of being dismissed). That is my fear – if the commission was set up for a year with the accompanying staff, I would be willing to take it very seriously. The SAGE report is still sitting on the shelf. They all do….. So why would this really be different UNLESS there is a surprise we all do yet know about ! @ Jeremy I too am inclined to be a cynic because if the goal is to make the system more accountable why only investigate those three years? The Auditor already has a duty to report any suspected criminal activity but has not done so which makes the statement about “Refer any evidence of possible criminal activity, which the Commission may identify, to the Director of Public Prosecutions or the Police”, very questionable. I hope this commission will also investigate why these Auditor reports have been taking years to complete. It appears that Civil servants are not the only ones not at fault so too is the Auditor. If the DPP has uncovered evidence via the work of the AG and in further collaboration with other government agencies, police departments and banks, both here and overseas, then lets have it. The DPP leaves in February and the Governor is not far behind him. If there is evidence of criminal wrongdoing then this is the time to prosecute the individuals responsible. if there is zero criminal evidence then lets have it, one way or the other. This is either the whitewash of all time OR the real deal. One can only think that from the Premiers big turn around that something has come to light. My guess is that the DPP has the evidence but will the police and the Governor push the ball over the cliff ? The police commissioner has already admitted that there is overlap with some of the AGs stuff and police investigations, although, not surprisingly, he would not go into detail. Mr. Deacon it is the OBA that has a majority of 19 seats in the House of Assembly. By making the mistake and attributing the majority to the PLP kind of tips your hand as to your leanings. Actually he said that PLP won the seat by 19 votes in the last election. It’s hard to know what Jeremy is complaining about here. He didn’t like it when there wasn’t a commission, but now he’s critical that there is one, because he thinks it might be popular among potential voters in a by election. A by election that was caused by the retirment of an opposition MP. And he doesn’t like it that the Premier appears to have changed his mind on something over the past 6 weeks, although he would also have been critical if the government “hadn’t listened”, of course. So it is not a time limit. Why say three months then? Do you think it’s a time limit Jeremy? My reading was that three months was the desirable time in which to complete the report. Would it have not been better to say six months or even 12 months? Simply bringing up the issue of three months creates the wrong perception. Then why bother talking about 3 months?